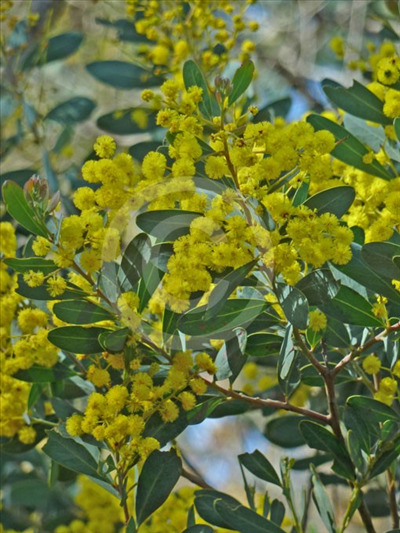 Lovely acacia small tree or shrub with bright yellow flowers in spring. Very floriferous. This is the first time we have grown it so not really aware of it true habit in garden situations. Rare and endangered in its habitat.